I have been digging through the photos that I took on our West Texas vacation and can’t believe it’s been almost two weeks since we got back. Because I just can’t narrow it down, this recap is likely going to be a multi-part blog post — I need to share the detail of every.single.bite. I ate and lots of fun pictures too. First up: Austin! Austin, despite being about 100 degrees, was totally and completely awesome. We fell in love with the cute little house bars on Rainey Street, browsed through the vintage shops in the South Congress area, and tried many, many tacos to try and nail down a favorite (barbacoa tacos at Torchy’s were the winner!). A few more favorites from our Austin stay were…. Elizabeth Street Cafe. 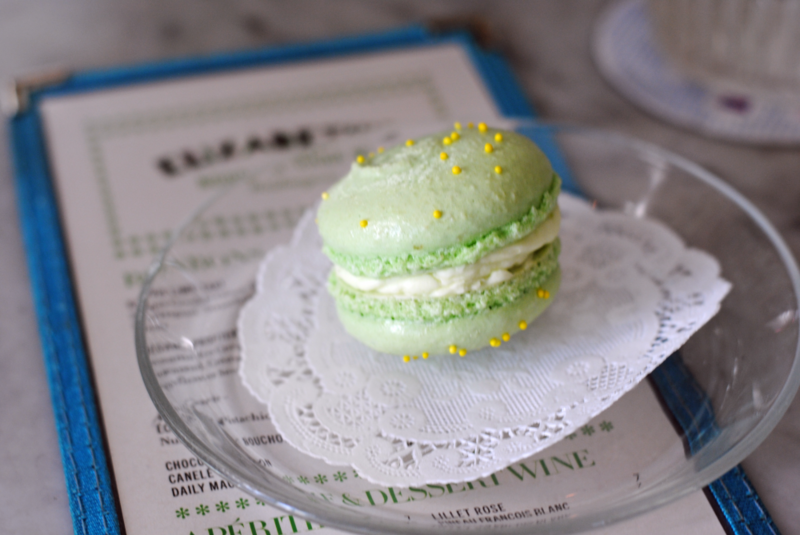 When I was doing research for our trip, I happened upon Elizabeth Street Cafe through Mackenzie’s Austin recommendations and decided to check it out for ourselves! 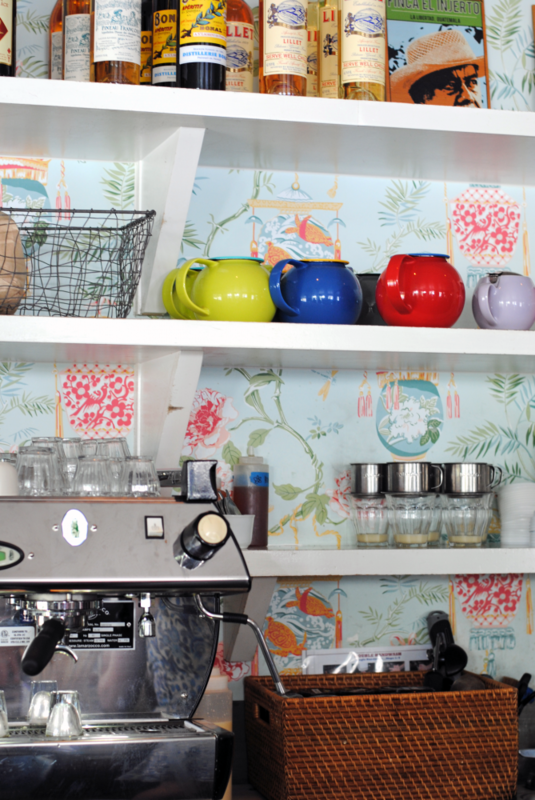 I love the super bright space with quirky little teapots and floral wallpaper, and the outside had a bright pink and turquoise paint scheme that was so cheery and cute. 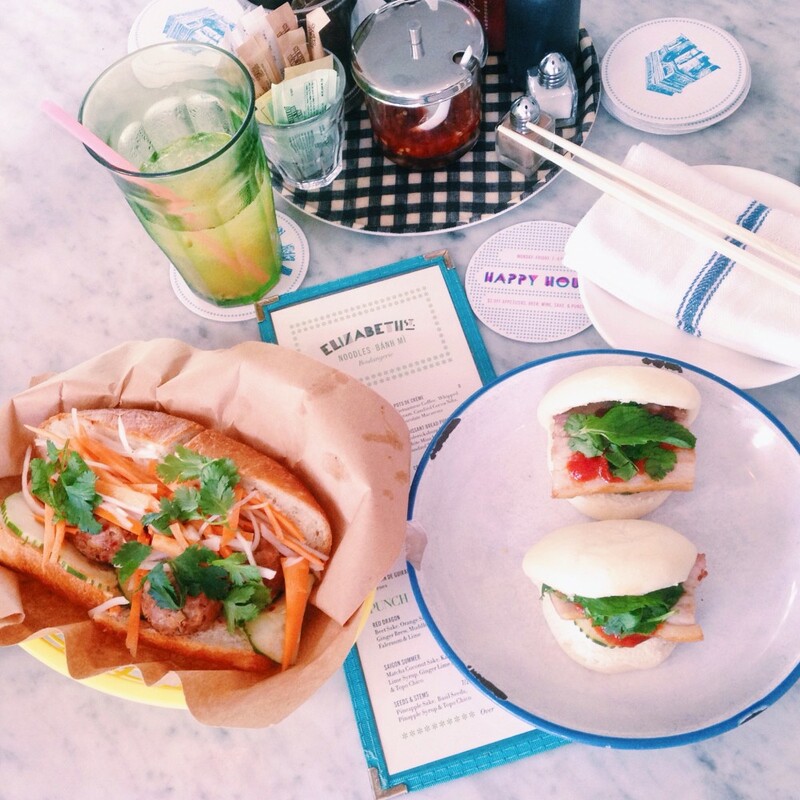 We had the pork belly buns and spicy pork meatball bahn mi — and I couldn’t pass up the macarons in the pastry case when we were leaving — they were delicious! 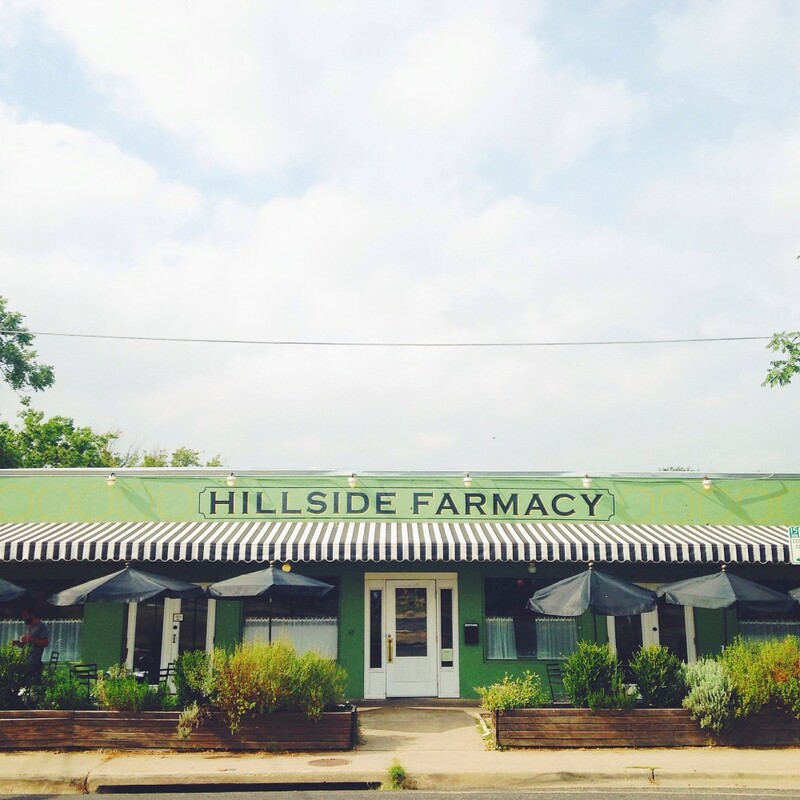 Hillside Farmacy. I’d seen pictures of the Hillside Farmacy on Instagram and knew we had to go here. The striped awnings and bright green facade reminded me of our wedding color scheme, so I was sold even before we walked in. 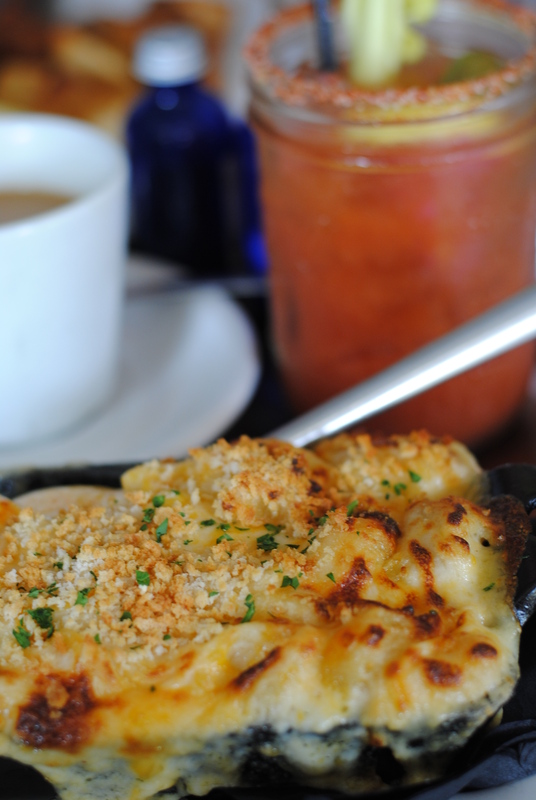 We ate here for brunch and I was prepared to go for eggs or pancakes, but then I saw a piping hot skillet of the mac and cheese walk by our table and I had to order some of my own. I am quite glad it did — it was super rich and delightfully tasty (and I washed it down with a wasabi bloody mary, yum!). 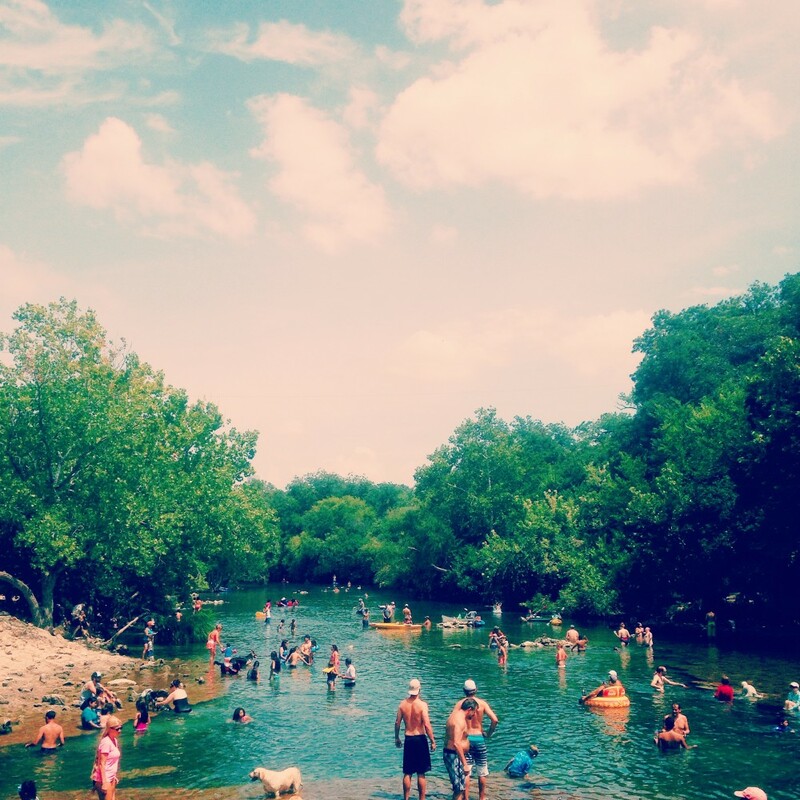 Barton Springs. This place was amazing, I’ve never seen anything like it! Given that the temperatures were creeping up into the hundreds during out trip, a little respite from the heat was very welcome. It was part pool, part lake, one-hundred-percent refreshing once we jumped in. Josephine House. 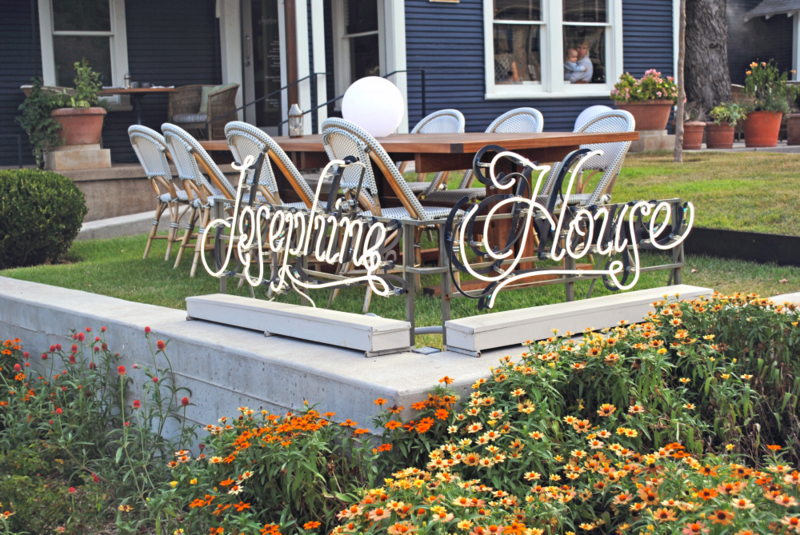 Our meal at Josephine House was phenomenal and the restaurant design was nothing but impeccable. We got there just as the light was fading and I didn’t get any pictures of the interior, but trust me when I say it was gorgeous — take a look at some of the gorgeous pictures on their website. The best part of the meal was dessert: a honey panna cotta with Texas figs and ginger-oat streusel — heavenly. It was just the treat we needed before heading off on the next leg of our trip! 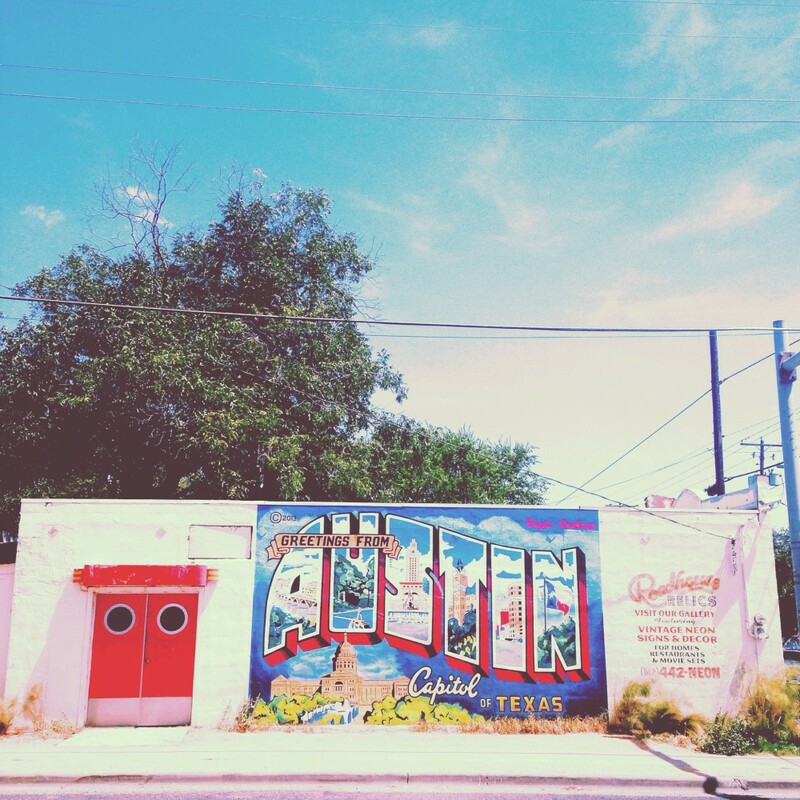 7 Responses to "West Texas Adventure: Austin"
looked like such a fun trip! i love the lettering/logos of these places. I want to visit Austin – on my travel list! you do the best trip research and I LOVE these recaps. I’ve never been to Texas (not including layovers in airports) and Austin is high on my list. I was so sad we didn’t make it to Elizabeth Street Cafe. It’s definitely on my list for next time! and now this time I am visiting this web page and reading very informative posts here. Wedding Shoes play a vital role and they should get along well with the bridal dress. It is important that you feel good while wearing the gown.